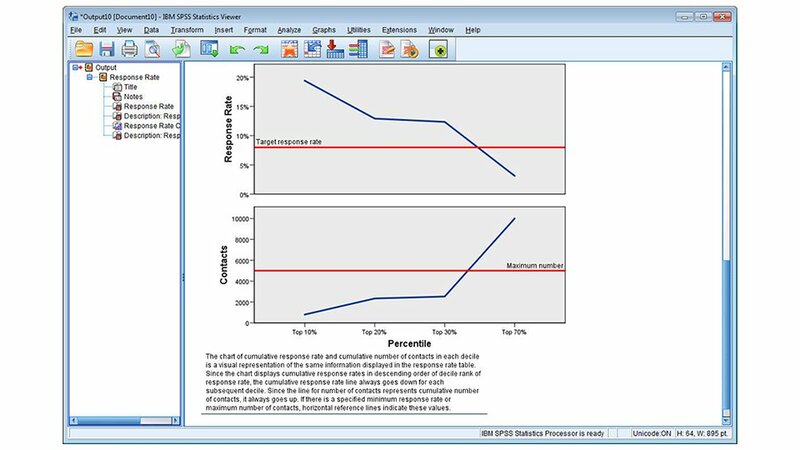 IBM SPSS Direct Marketing enables you to conduct advanced analysis of your customers or contacts – to help improve your results. 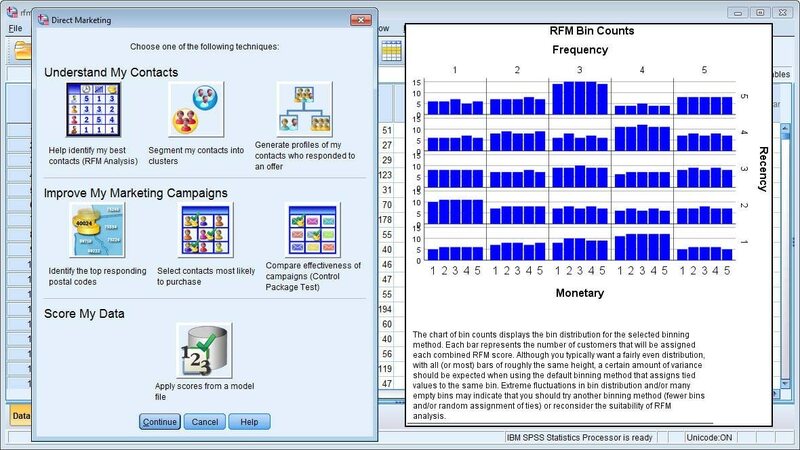 Choose from recency, frequency and monetary value (RFM) analysis, cluster analysis, prospect profiling, postal code analysis, propensity scoring and control package testing. The software helps you understand your customers in greater depth, improve your marketing campaigns and maximize the ROI of your marketing budget. Use it to launch or test campaigns, increase cross-sell and up-sell revenue, or when opening a store. Classify customers and prospects based on identifying characteristics such as: age, marital status, job function and where they live. Then, segment prospects or customers into clusters. Test existing campaigns against new campaigns, collect your data and run a control package test. Use color coding to quickly determine which test package would outperform your control package. Generate profiles of those who responded to test campaigns. Use the prospect profiling tool to pinpoint specific characteristics in the data, such as age, marital status and job functions. Generate propensity-to-purchase scores and focus on customers most likely to respond to campaigns or offers. Generate XML files to score other data. Eliminate less active customers from your list. Identify postal codes with high rates of response to your marketing campaigns. Even find the best location for adding an agency or a brick-and-mortar store. 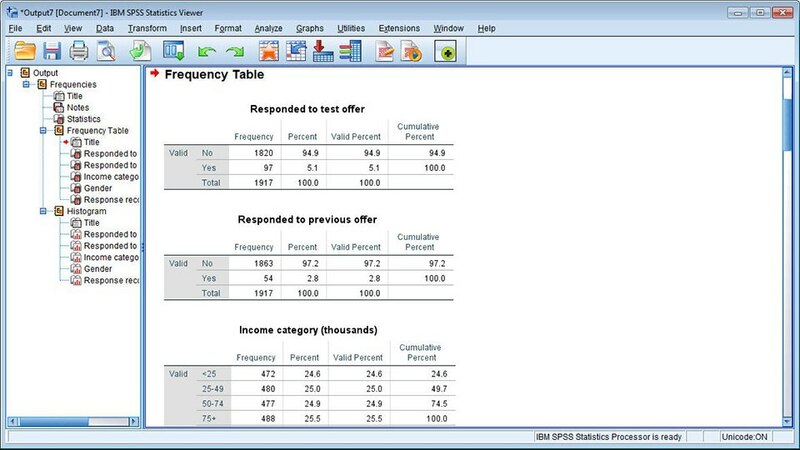 Use the scoring interface to write RFM scores, prospect profiles and response rates back to existing or new data sets. 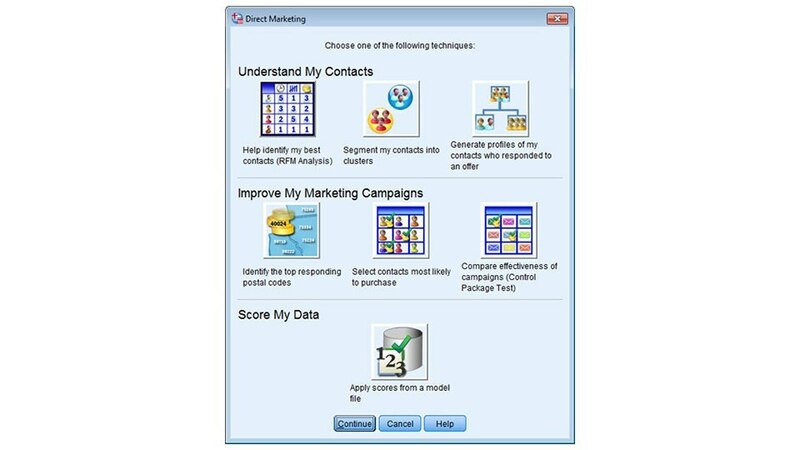 Build targeted lists and adapt marketing strategies for each customer group.